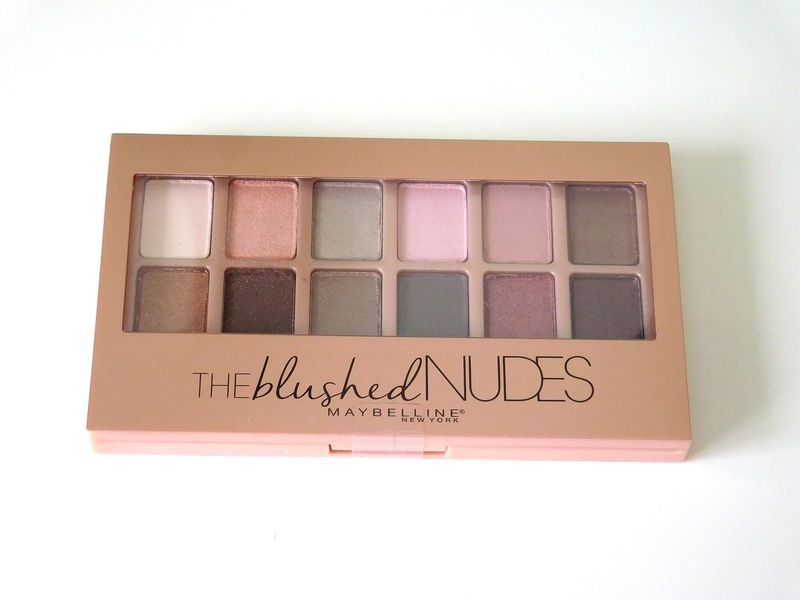 I've had my eye on Maybelline's Blushed Nudes palette for some time now, and when I got my most recent quarterly CVS ExtraBucks I finally decided to give it a try. Normally I buy my eyeshadows singly because I don't often like all of the colors in a bigger palette, but I use pink and neutral tones often so this seemed like a good selection for me. There are twelve shadows in the Blushed Nudes palette, and I would say the mix of light, medium, and dark shades is fairly even. However, shimmery shades dominate, with the most matte being the light pink one pan in from the upper right. Even this seems to have a bit of shimmer, although that could just be fallout from the other colors, since it applies fairly matte to my eye. The most shimmery shade is the dark brown with the berry glitter in the bottom right corner, and the rest fall on the pearly-to-shimmery spectrum. As the name suggests, the colors all have a blushed tone--there are true pinks, peachy neutrals, mauvey taupes, and browns with berry undertones. There's enough variety in color to create several different looks, with good options for base, crease, highlight, and liner colors for each. The colors apply true to how they look in the palette with moderate pigmentation, but I actually prefer my shadows to apply more softly like this with the option to build intensity than to have super-intense colors right out of the pan. 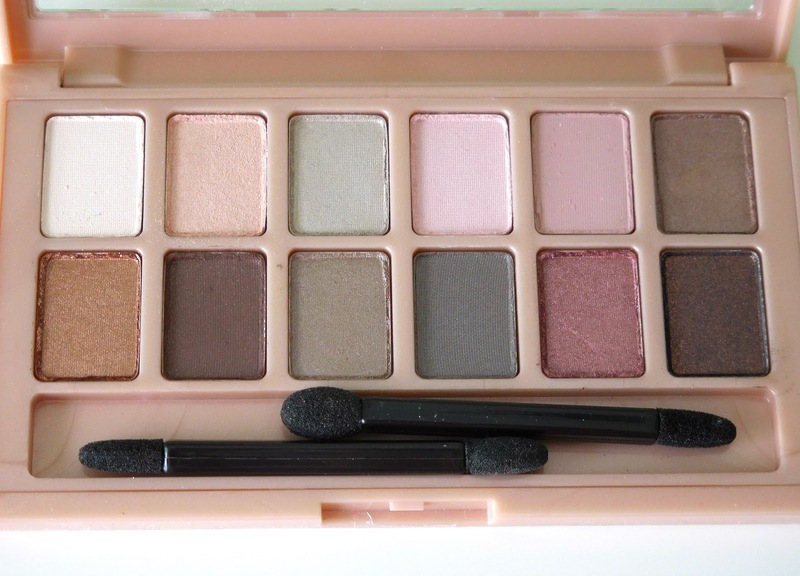 All in all, I think this is a really nice palette for creating soft, blushed eye makeup looks. 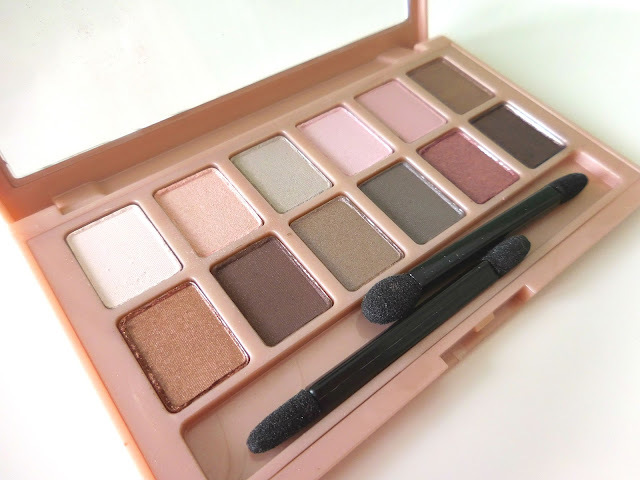 The neutral, pink, and berry-brown shades are pretty autumnal colors for those who don't like the more typical warm earth tones, and the variety of shades in the palette allow for complete eye looks without any additional products.